EW Hunger Games Issue On Stands Friday, March 2nd! 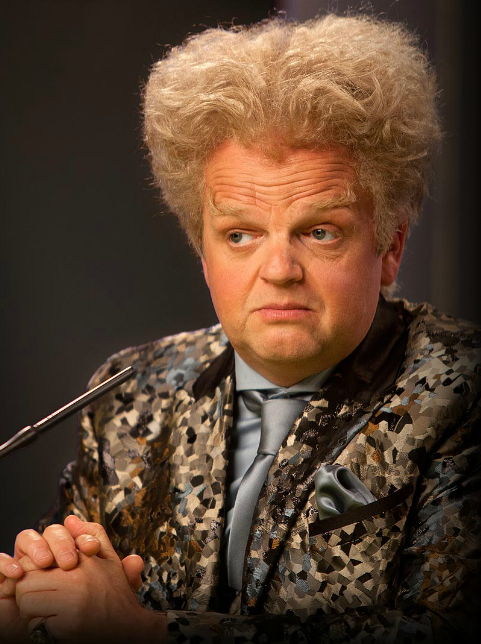 The March 23 release of The Hunger Games is nearly upon us. While we can’t make the clock turn any faster, we can offer fans of Suzanne Collins’ best-selling dystopian trilogy (and newcomers, too) a deep, behind-the-scenes look into the making of the film, from conception to casting, filming to marketing. Pick this issue up on March 2nd to find out what's NOT in the movie too! 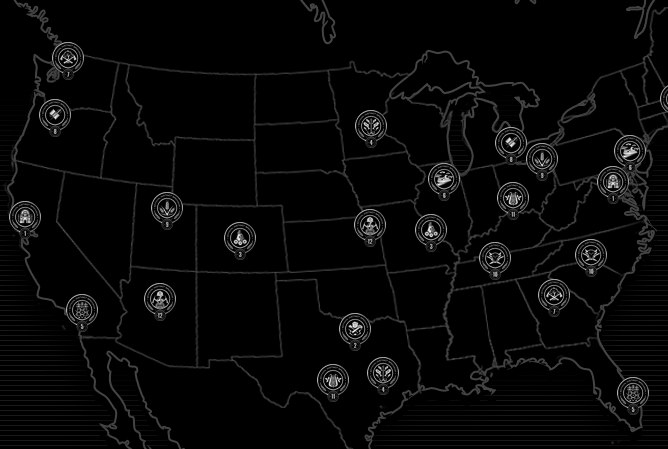 Be the first to see THE HUNGER GAMES in theaters - Search #HungerGames24 on Twitter Now! THE HUNGER GAMES is directed by Gary Ross, and produced by Nina Jacobson's Color Force in tandem with producer Jon Kilik. Suzanne Collins' best-selling novel, the first in a trilogy published by Scholastic that has over 26 million copies in print in the United States alone, has developed a massive global following. Check our post HERE for all the city hashtags! Today at 10am PST Lionsgate kicked off #HungerGames24 for the 24 tributes in the story. There will be 24 Advanced Screenings (to be had on March 21st), sponsored by Nook by Barnes and Noble. 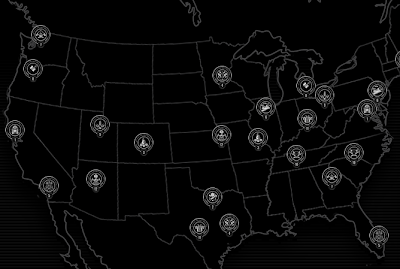 Fans can show their support for #HungerGames24 here and tweeting a unique hashtag assigned to their closest city to unlock Advance Screening locations. Starting March 1, the top four cities with the most Twitter volume will be announced each day and fans will then be able to enter to win tickets to those locations. 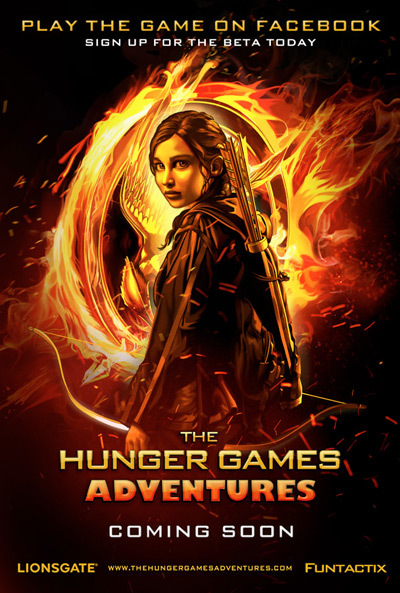 In addition, since tributes often have sponsors to help them out, Lionsgate has brought on 12 District Sponsors to each host two of the Advance Screenings and offer 24 fans the chance to win a pair of tickets. UPDATE: Here's the list of cities and what each specific hashtag is! This is from an article from Glamour, check out them nails! CHECK IT OUT! 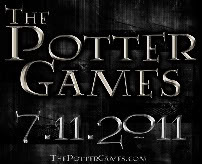 The propo posters for Pollux, Perry (the defense in Katniss' trial), and a new character Crollo! Check out our previous post about this AMAZING fan project! Also, make sure to tune into Monday's HG Fireside Chat to hear those involved with it talk about the Star Squad project! 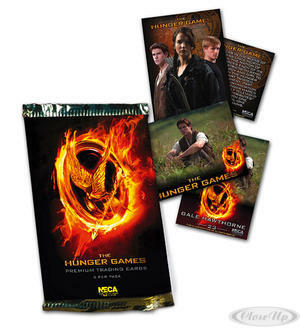 The Hunger Games Movie Trading Cards Available for Preorder! What do you guys think? Anyone going to try to collect them all? Tomorrow Caroline and Brendan of the Star Squad series will be on to talk about their amazing project! Tiffany and I have experienced first hand the awesomeness and quality that is their project. Hopefully you guys can also get an idea of their awesomeness! Don't miss this episode! Click here to listen to Episode 48 LIVE on 2/27/12 (Monday) starting at 10pm ET/7pm PT! 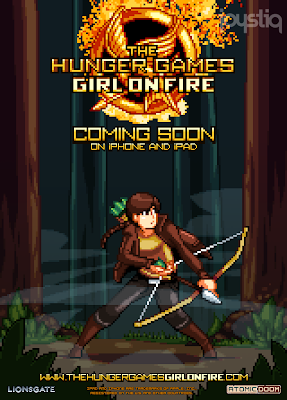 Episode 48 of Hunger Games Fireside Chat will air live this Monday, February 27, at 10pm ET/7pm PT! This week, our panel of experts will include some of our fabulous friends from Down with the Capitol, Crystal of Mockingjay.net and FictionalFood.net, Sam of Sam Cushion Music, Kait from Victor’s Village, Natalie of Crushable, and Ariel of Nerdy, Wordy, and Almost Thirty. We’ll also be joined by an amazing guest panelist: Jessi of HungerGamesFandom.net! - We’ll kick off the show by talking to some incredibly talented special guests: Caroline Framke and Brendan Bradley! 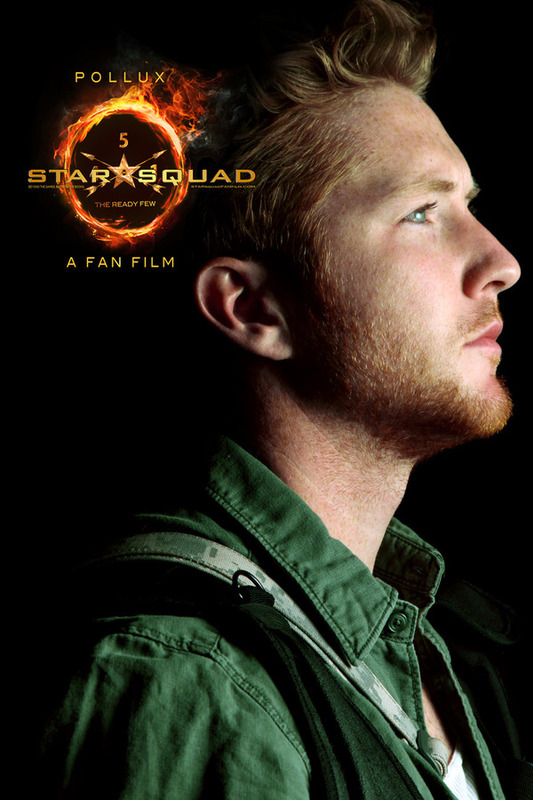 Both Caroline and Brendan are involved in a new Hunger Games fan film project (as co-writer and director/actor, respectively) called Star Squad! 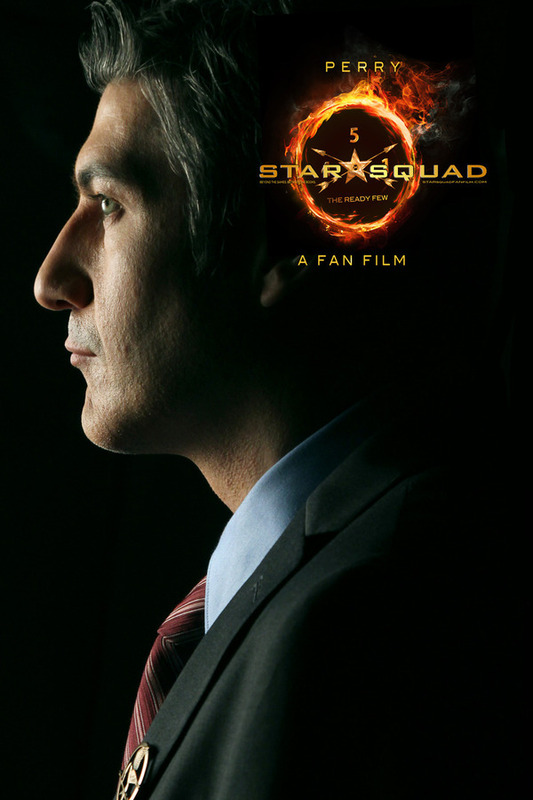 Star Squad tells the story of Katniss’ trial at the end of Mockingjay and the brand new incarnation of Star Squad 451. Star Squad is currently mid-fundraising and is releasing DAILY peeks including characters, actors, props and more on their campaign page: http://starsquadfanfilm.com. You can also follow them on Facebook and Twitter! 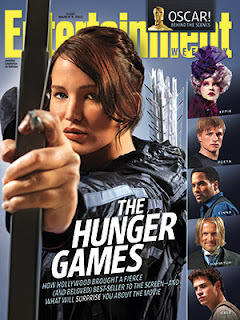 - We’ll also do a round-up of all the latest Hunger Games movie news (midnight tickets, camping, and National Mall Tours — oh, my!) and discuss People’s exclusive new still of Peeta and his amazing camouflaged arm. 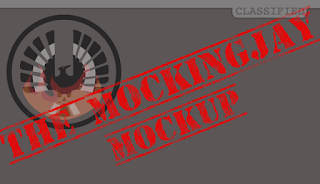 - After weighing in on the finalized rating (PG-13) and running time (142 minutes), we’ll share a crazy list of Crackpot Theories that some listeners sent us in honor of our 45th episode a few weeks ago. 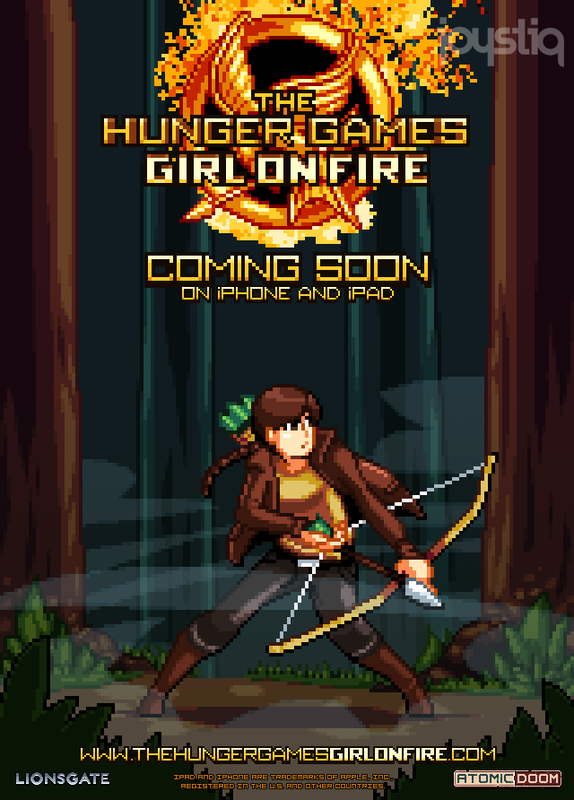 Check it out, Hunger Games fans! Scholastic has a new blog post about Lionsgate partnering with United Nations World Food Programme and Feeding America to help solve hunger. The amazing community of Hunger Games fans, both in the U.S. and around the world, can now directly help those dealing with real hunger problems of their own. 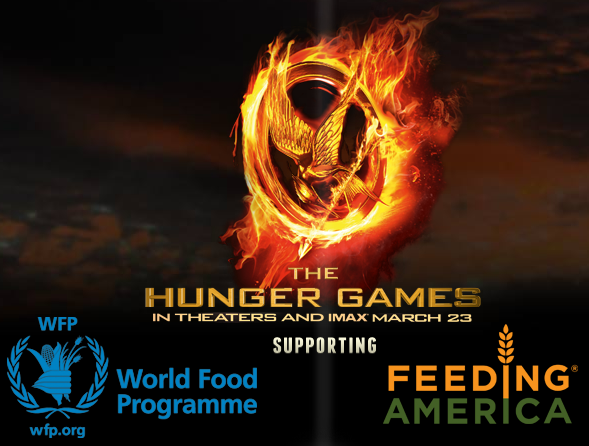 You can get started at wfp.org/hungergames right now by watching the PSA, taking the Hunger Quiz to learn about the extent of the issue, and become active participants on the solution to the world’s real hunger problem. Also check out the official website for this partnership RIGHT HERE where you can donate and do a hunger quiz which will enter you in a contest to win a signed Hunger Games item! Now that's an incentive to be involved! All the Josh Horowitz Hunger Games interviews have been awesome! Check out these in which Woody Harrelson gets interviewed. Also, Jennifer and Josh pretended to be cats? LOL! Check out the rest of the 4-part interview under the cut! Check it out, if you thought Hot Topic has oodles of merch, check out the Cafe Press store that just launched today! CafePress, the World’s Customization Engine, has partnered with Lionsgate to give fans of The Hunger Games the chance to support their favorite Tributes with official The Hunger Games gear. Launched this week, the official online fan page for The Hunger Games offers licensed film merchandise, as well as fan designed gear such as t-shirts, canvas bags, water bottles, and more than 250 other one-of-a-kind products. Fans also have the chance to create their own unique free* District ID card through an exclusive Hunger Games Facebook application, available in the CafePress shop. Readers who have already registered as citizens of Panem can also claim their The Hunger Games ID card through the Facebook app. The physical District ID card displays your unique district and job assignment and is available to any fan that registers. This special program began on February 14 and will continue throughout the lifetime of the store. GO HERE to check out the store. There's so many things, we can't decide to tell you what to buy! "For intense violent thematic material and disturbing images - all involving teens"
We knew it would be anyway, but it's nice to know that it's finally official. Here's the press release from Lionsgate on today's news: tickets going on sale, camping out at the World Premiere of The Hunger Games, the livestream of the red carpet through Yahoo! and the national mall tour. Also the free download with online ticket purchase will be Tomorrow Will Be Kinder by The Secret Sisters. Wednesday, February 22, 2012- Today marks an exciting milestone in the lead up to the release of THE HUNGER GAMES: Movie tickets are now available for purchase online http://www.thehungergamesmovie.com/index2.html. Fans who can’t make the trip to Los Angeles will still have an opportunity to watch all the excitement LIVE from the red carpet of the world premiere. Yahoo!, the premiere digital media company, will be the official live broadcast partner and the show, in addition to exclusive content from the event, will be viewable on Yahoo! 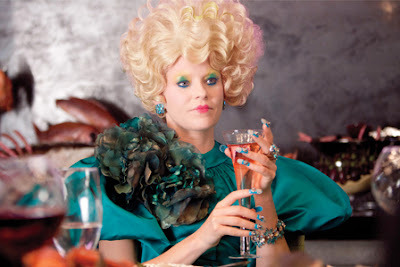 Movies at http://movies.yahoo.com/movie/the-hunger-games/ to its audience of more than 46.1 million global users. The COOLEST Hunger Games Products to BUY RIGHT NOW from Hot Topic! Hey guys, we all know that the Hunger Games movie is approaching and you know what that means, MERCHANDISE!!! Whether you're a long time fan or a new one, surely you must be aware that Hot Topic is the mainstream store in which to buy Hunger Games stuff. 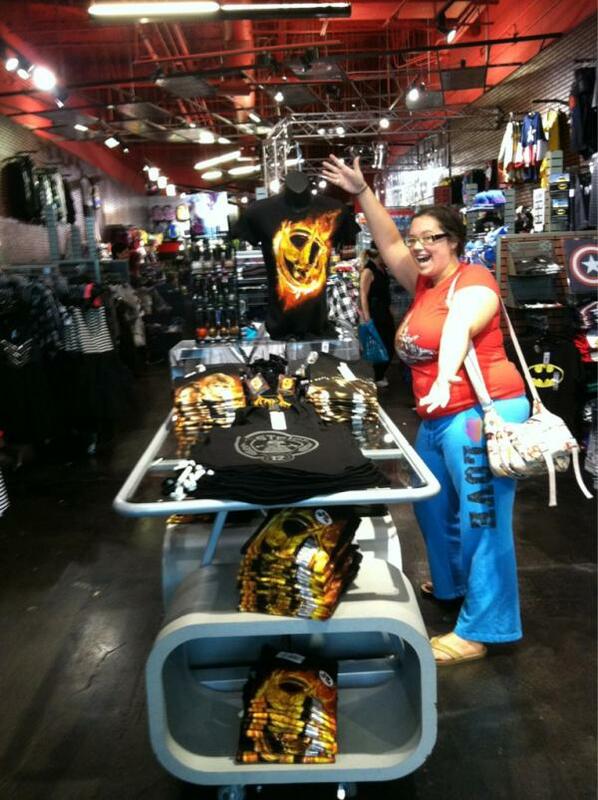 Hot Topic is NOW SHIPPING their Hunger Games products STARTING TODAY! Hot Topic has a very LARGE amount of Hunger Games merch available to order, so here is our list of the most awesome stuff available! CLICK THE PHOTO to be taken to the order page! THE MOST AWESOME OF THINGS! Believe it or not, this is just a portion of the Hunger Games merchandise they have available. Click the banner below to take you to the rest of the Hunger Games stuff you can buy! Check it out, Courtney and I went to our local Hot Topic and found Hunger Games merch!